The Melaphone is a revolutionary visual audio device which enables two-way communication without contaminating the space it is fitted. The Melaphone was designed by Jim Talbot, an entrepreneurial engineer in the late 1960s, who was interested in enabling visual audio communication device which could be utilised in safe environments. The Melaphone is perfect for any business or individual who requires safe and sterile communication. 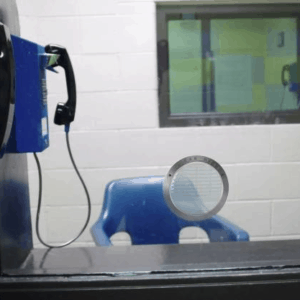 How does the melaphone work? The design of the melaphone prevents airflow, which is usually where germs or dust particles reside. The lack of airflow enables zero contamination, making it one of the safest communication methods. The melaphone is able to work effectively due to use of a transparent diaphragm, which allows speech to be transmitted through a telephone without the need for airflow. The transparent diaphragm is also used for added protection, as it deters harmful chemicals. 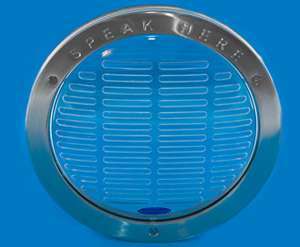 Transparent diaphragm’s usually come in various sizes with Melaphone, one of the UK’s leading specialist in communication equipment offering small circular and large circular transparent diaphragms, which can be custom-fit to suit your preferences. The melaphone is also fitted with a Polycarbonate Guard, which has an extremely high level of strength, which provides further physical security, which can protect again assault or burglary. The stainless-steel mesh guard cover surrounding the melaphone provides even more protection to the communicator, whilst also providing protection to the melaphone itself. All components of the melaphone are extremely easy to fit, maintain and use. For further information on implementing the melaphone device, you should refer to Melaphone’s step by step instructions on their website. Where can you use a melaphone? The melaphone can be used in variety of locations, which require some sort of protection whilst communicating with the general public. The most popular locations for the use of melaphones include: hospitals, pharmacies, laboratories, clean rooms, cash desks and reception areas. 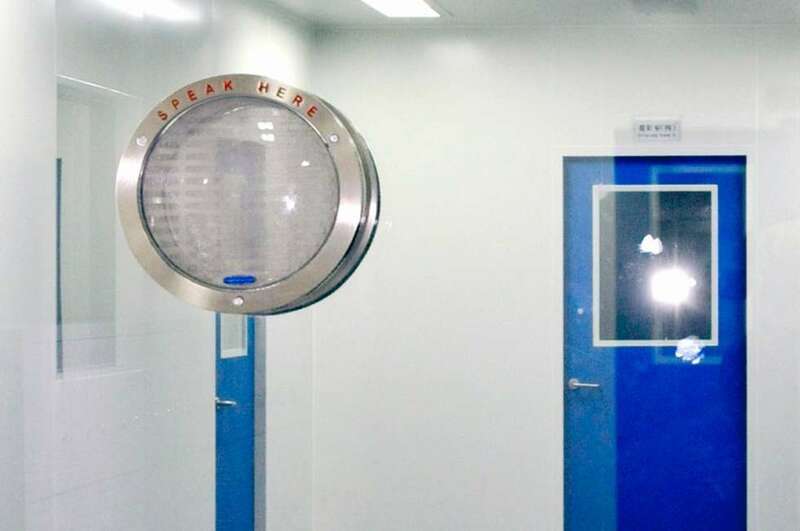 The melaphone is utilised in hospitals in order to maintain high-quality hygiene standards, which are detrimental factor in the everyday running of the hospital. The use of melaphones in reception areas and cash desks are in place in order to avoid security breaches whilst also enhancing efficient communication. Where to buy a melaphone? If you require a secure and protected communication system in a sterile environment, you can purchase top-quality melaphones from the company where the melaphone originated, Talbot Designs who own Melaphone, where they produce and sell their products in the UK and beyond. Melaphone are the leading UK suppliers for Melaphones, and are constantly thriving to improve their protection and hygiene standards by conducting thorough tests on their products. 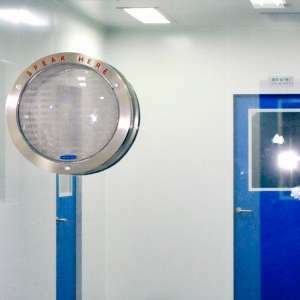 They currently hold a hygiene accreditation up to ISO14644-1 ISO Level 5, which allows them to implement their audio-visual aids in cleanrooms. The cost of Melaphone’s products vary according to size and any extra components you choose, including: spare parts, replacement parts, double glazing conversion kits, which are detailed fully on their website. For further information on all things Melaphone-related fill in their contact form, email or call direct on 01539233191.